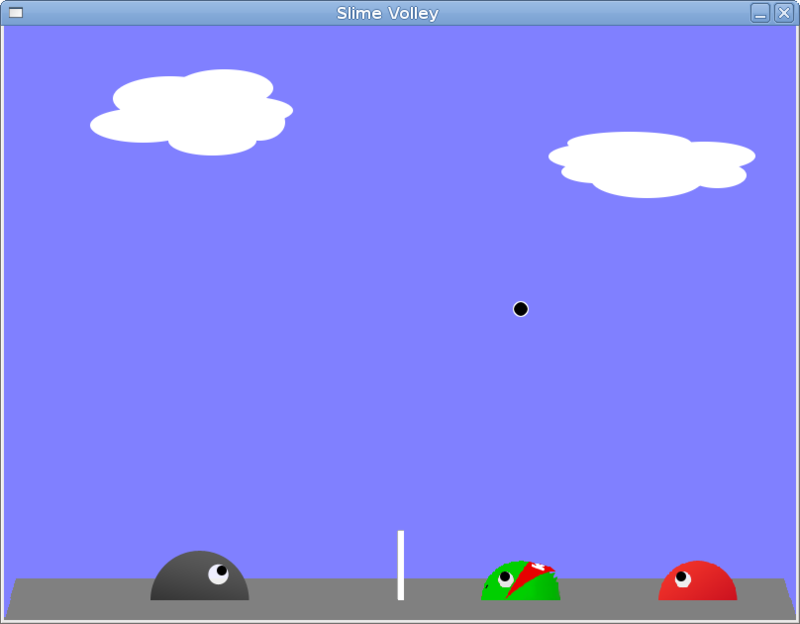 Slime Volley is a game inspired by the Java games of the same name (in the style of Blobby Volley). It is a photo-realistic volleyball simulation : You control a semi-circular blob on which the ball bounces. 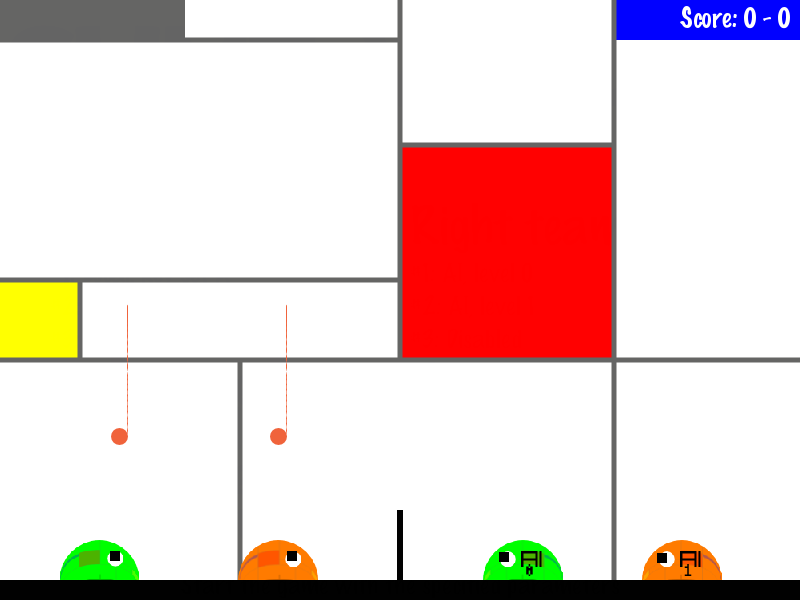 A this time, the stable 2.4 version allows from 2 to 6 players, with any combination of local, remote and AI players. 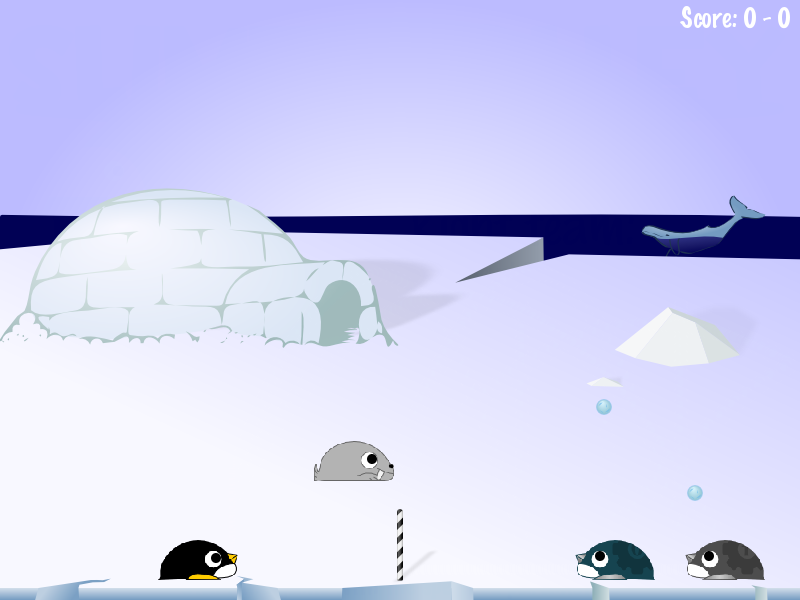 This game is programmed in C with the Simple DirectMedia Library (SDL) libraries, and is available under GPLv3. So it is free (as in beer) and free (as in speech). 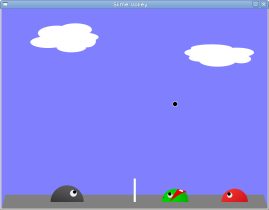 Slime Volley is developed under Linux et Mac OS X, and also works under Windows. My research for themes for the next version of Slime Volley has been successful! Not a lot of people participated, but they provided several themes. 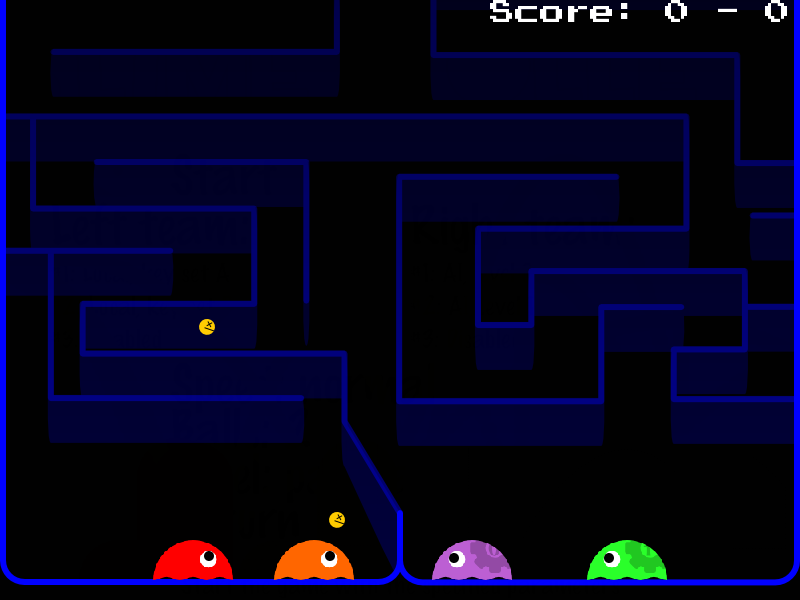 Leovilok, who did the first participation, the pacman theme, did 3 more themes! The tux theme, the underwater theme, and the botlab theme. 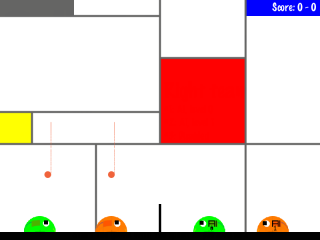 Aymeric did 2 themes, a Lime Volley theme, and a Mondrian one. 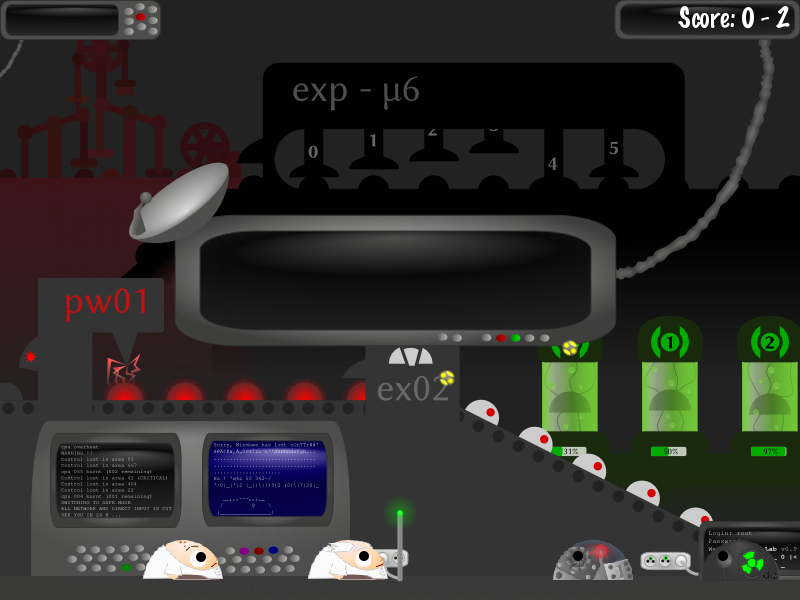 He also did an insect theme that I was not able to test yet. That's all for now, I just wanted to show these great themes, at least to be sure no one does a theme on the same idea that an existing one, and to show there is some progress. 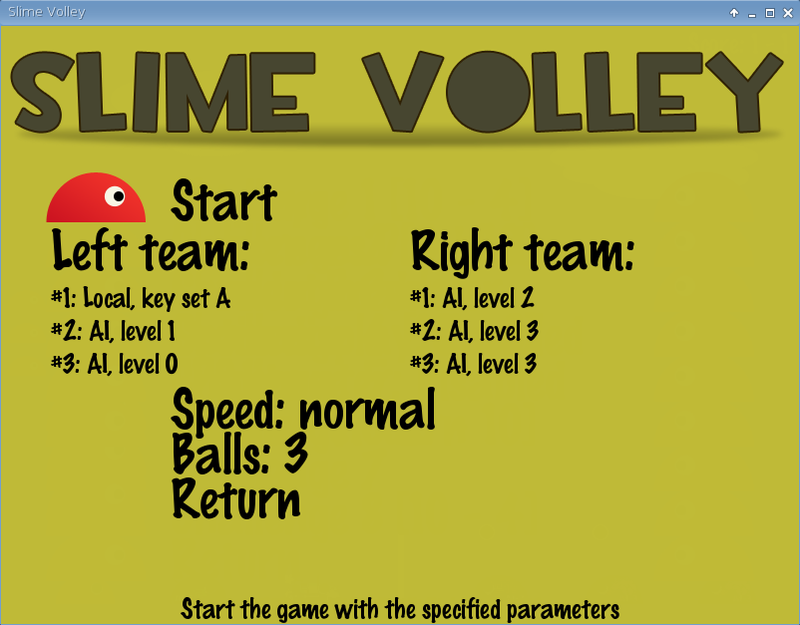 Slime Volley needs your help! The next version of Slime Volley is shaping up in the subversion repository, and as explained in the last blog post, it rethinks themes as a whole : slime skins, level background and sounds, and menu theme. And as explained, challenges will unlock themes. 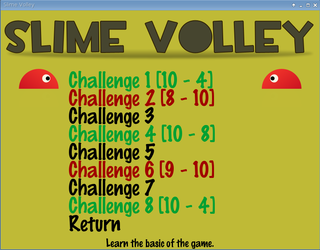 So, if you feel like it, please try and make a theme for Slime Volley! contains AIs and players skins. 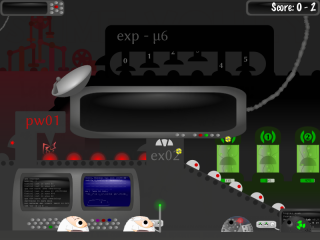 It must contains 4 AI skins and at least 1 player skin (up to 3). 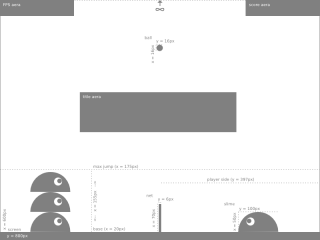 eye.png is the eye to use. The most important thing is to do a level background and the AI and player skin that goes with it. 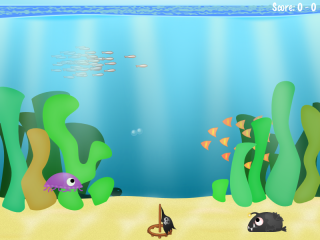 Additionally you can provide a menu theme, which is basically a menu.png file and a font to use. (along with the font size and color that should be used). But I'm not sure menu themes are that usefull. 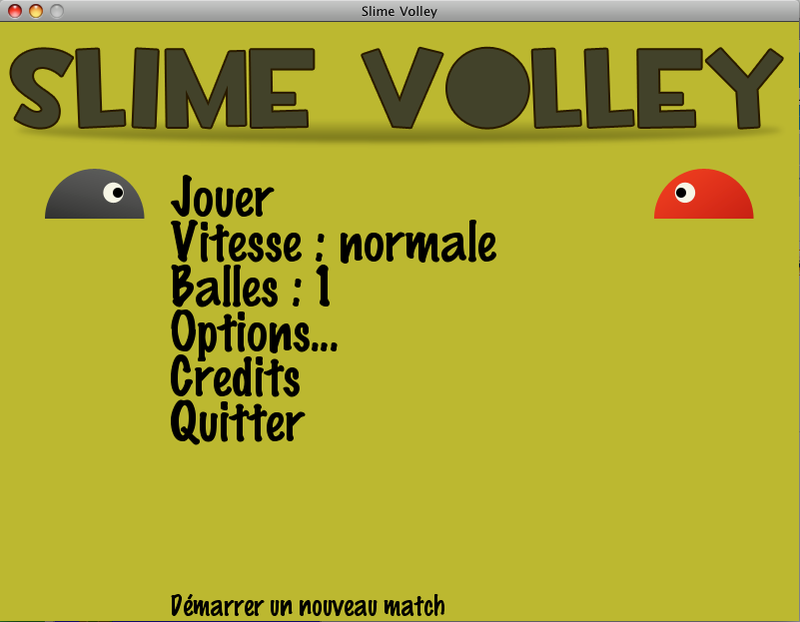 Hey, a new version of Slime Volley is ahead ! 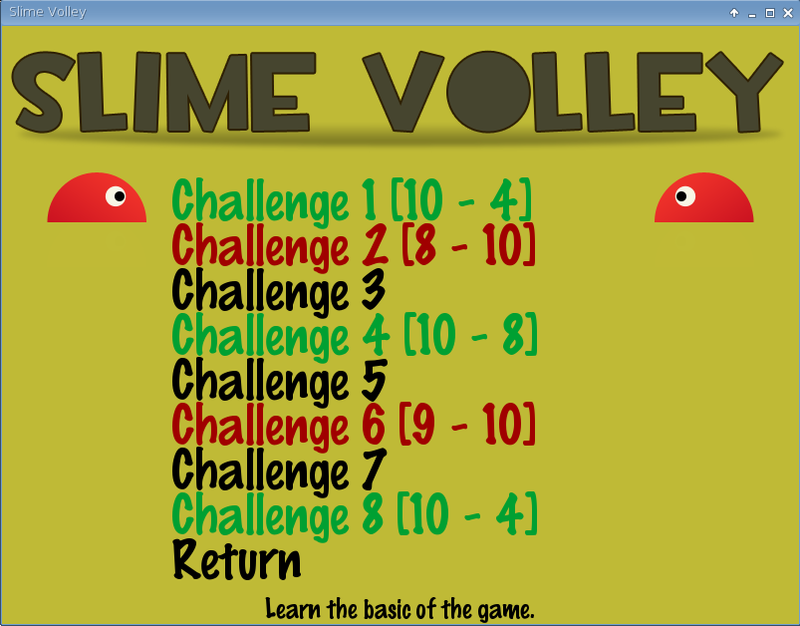 You may have guest it but the idea of rewriting Slime Volley in C++ an release a great shiny version 3 was never even begun. It was a lot of work and we were kind of lazy getting to it. 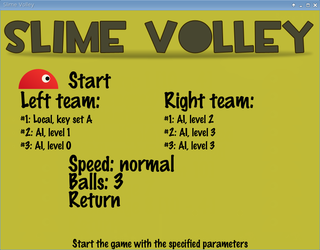 But some weeks ago I played Slime Volley and thought "hey, this game was great, it's so sad we never added all we wanted to put in it". 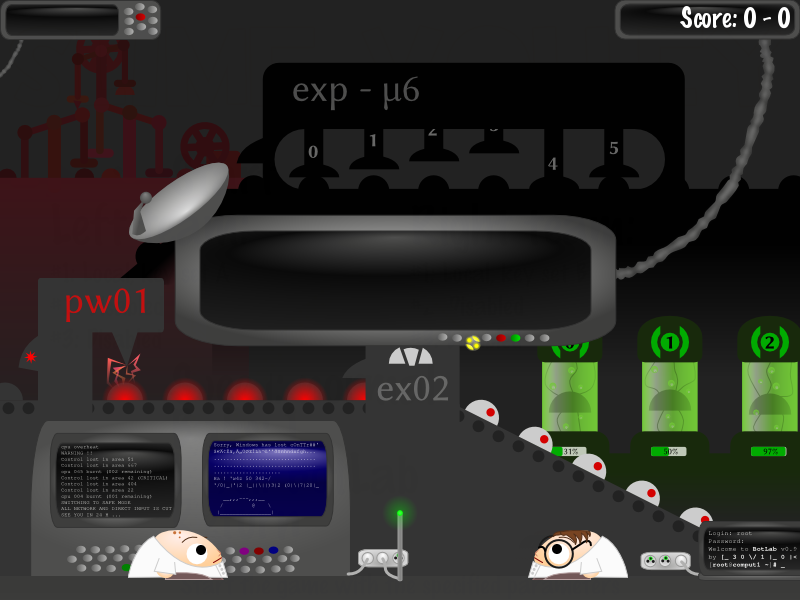 So I started to code again. I've done some of the things I wanted to add to the game. 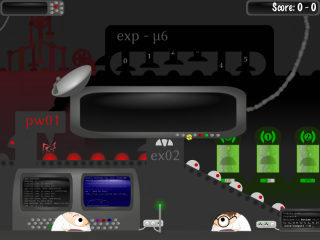 I integrated yagraph pretty AI skins (1 for each AI level). 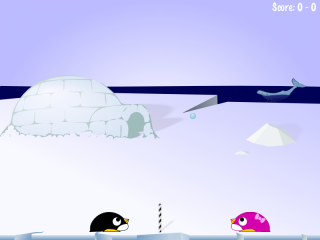 I separated level themes, menu themes and slime themes. 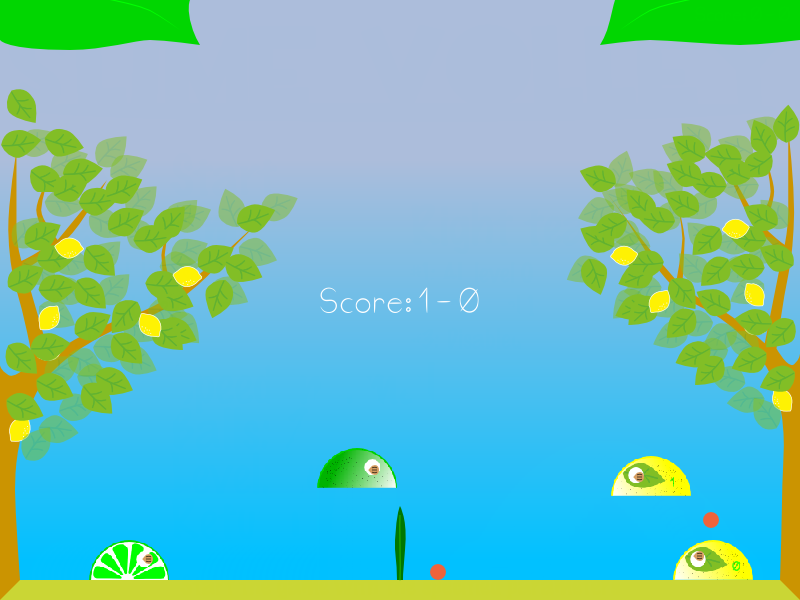 Now each team has a slime theme, which is a set of skins that are coherent. When a player press down, the whole team changes theme. What's the point? Well, this new theme organisation is here to welcome the brand new challenge menu! So now you'll need to beat some challenges in order to unlock the themes! In black you have the challenge I've never played, in red the lost ones and in green the won ones, with by highscore for each of them. I still need to chose which challenges I put in the game and try and order them by difficulty. Slime Volley goes in Debian, and the 2.4.2 is out! 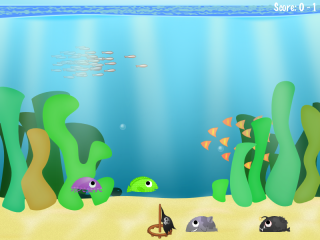 After a lot of works on licenses, copyright, the replacement of sounds that were not under the proper license, Slime Volley finally made it to Debian! The package is in unstable, and it'll go in testing under 10 days unless something goes wrong. I think that also mean it will be in the next Ubuntu version, but I'm not sure how that works. There is only a few modifications but we wanted to release what we've done as we won't develop this version anymore (unless majors bugs are found). The "invisible Slimes" bug was fixed. The AI has been enhanced in both single and multiplayer modes. The "Game" menu reacts more logically when you change player settings. Another enhancements : The icon was changed to fit better the default "Modern" game look, and the Windows version now stores the game settings in the user's directory (so different users can have different settings). The next version should bring more important changes.